The empathetic and supportive approach used by stop smoking practitioners during CDTS intervention was reported as key to keeping service users engaged and working towards quitting. This is consistent with other published studies, which have looked at the important factors related to engaging tobacco users in quitting. Past research into the reasons why some people do not stop smoking suggests that impulsiveness; social-economic environment and personal crises as well as personal smoking history are critical factors [14–17]. A systematic review from the Cochrane collaboration identified that while the evidence was limited, three factors are associated with successful recruitment and engagement with smokers to assist them to quit: 1) personal, tailored interventions; 2) recruitment methods that are proactive in nature; and 3) more intensive recruitment strategies (i.e., those strategies that require increased contact with potential participants) . 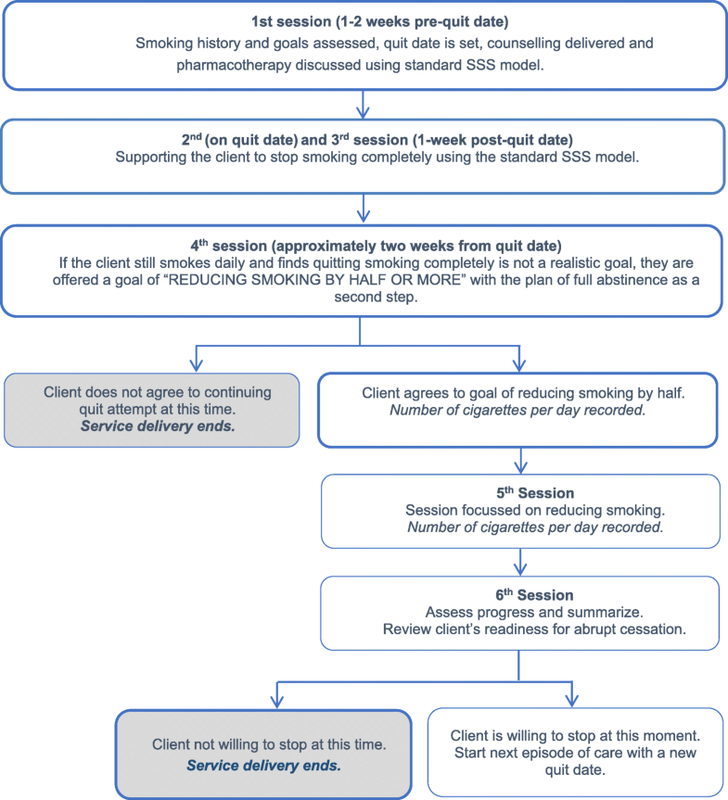 The nature of the delivery of motivational messages as part of supporting smokers to quit is known to influence the effectiveness of the therapeutic relationship between practitioner and client and boosting motivation is an evidence-based behaviour change technique [19, 20]. While the content of the intervention and getting the right advice are essential factors, both when and the way in which the advice is delivered appears to be important. So, the timing, tone and manner in which the intervention is delivered can make the difference between successful and unsuccessful engagement of a smoker with a smoking cessation service [21–23]. These findings communicate the important element of the personal and the social aspects of quit smoking support, and highlight the importance of relationships between stop smoking practitioners and potential quitters in the recruitment and retention of people to services. The CDTS intervention pilot tested in this study addresses the need for some service users to have a specialist service that is person-centred and works with individuals using a flexible and responsive plan that is focussed on building relationships with clients that are enduring over time.